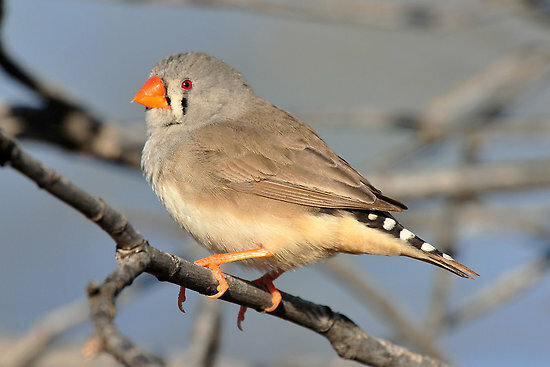 Zebra finch, commonly found in Central Australia, is a small gray-white bird with a thick, pointed triangular beak. 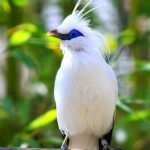 Being a popular choice of pet, these birds have been bred in captivity for many years. They make good pets with their bright, colorful appearance and simple care requirements. 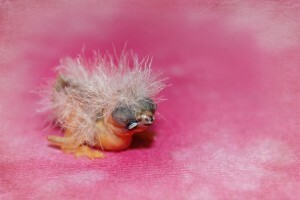 However, they might be mildly allergenic to those with feather allergies. 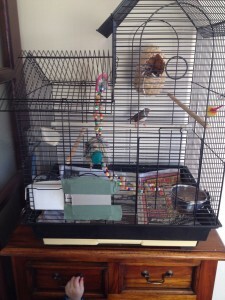 A large, spacious, well-ventilated cage of about 30 inches, placed in a quiet corner of the house is suitable. 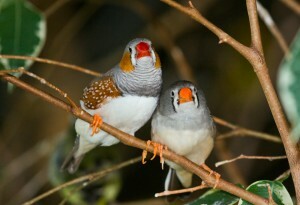 Keep only one mating pair in a cage, as males often get aggressive and fight if housed together. 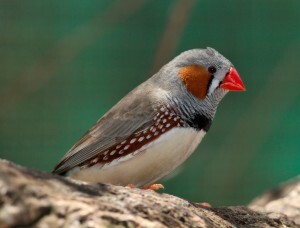 Soft wood or natural branches placed inside the cage are good as perching spots. 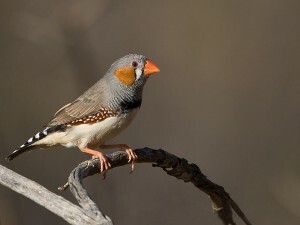 But, make sure not to keep more than two perches, as it may reduce their flying space. Small toys, bells or ladders may be provided; however, avoid long strings to prevent any obstruction or injury during flight. 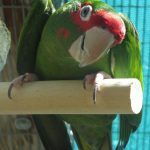 While keeping multiple pairs in a big cage, pinch clothespins may be placed on the perches at a distance of about six inches to demarcate the territory of each pair. 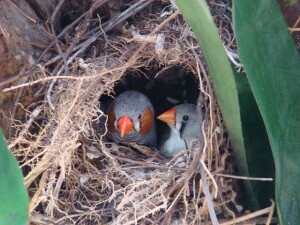 It is recommended to provide a nest basket as these birds enjoy sleeping in nests. 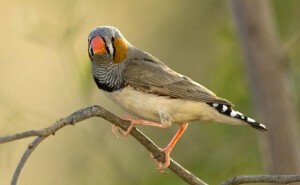 A wooden nest box is also required, especially during the breeding season, as they have a habit of laying their eggs in any available space, including the food tray. A paper substrate should be placed at the bottom of the cage to easily detect any abnormalities in their droppings. It is to be changed on a daily basis to ensure proper hygiene. 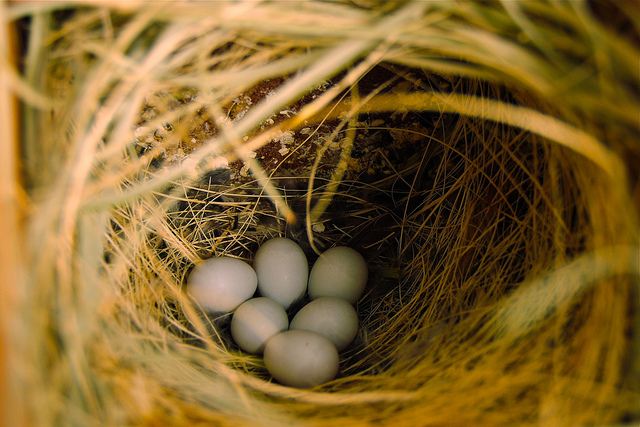 Grass and soft hay are good options for nest boxes substrate. 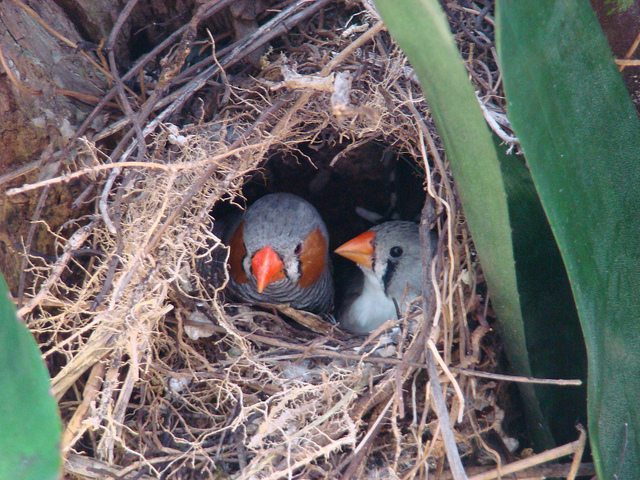 These birds are well adjusted to room temperatures but must be kept away from air conditioning units or cold drafts. 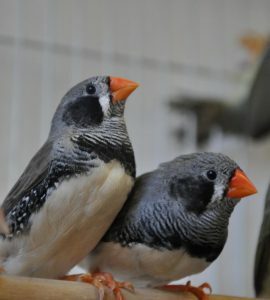 During breeding, the temperature should not fall below 40°F to 50°F. They thrive well in a moderately warm environment; however, make sure to avoid direct sunlight. 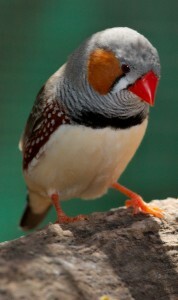 Though full spectrum lighting is often used by people to prevent molting, it is not necessary for Zebra finches. Artificial UVB or UVA lighting may be used if they are kept in a room receiving insufficient natural light. 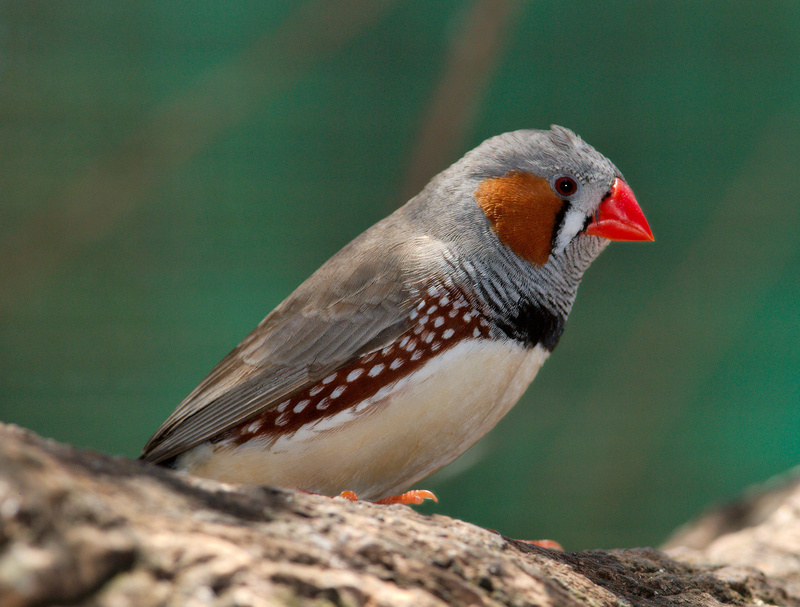 These calm, sociable birds tend to display their loyalty to their owners by fluttering or singing in their presence. However, they dislike being touched or cuddled with, but rarely resort to biting. These seed-eating birds are fond of millet seeds, while any sprouted seeds are beneficial for them. Add a proper amount of fruits and vegetables like carrots, sweet potatoes, romaine lettuce, broccoli, spinach, apple, banana, mangoes to their regular diet. Cuttlebone, hard-shelled boiled eggs, grits, and pellets form, a good source of calcium and vitamins. Provide fresh, clean water should every day. The breeding pair takes care of their offspring as they do in the wild. Make sure to provide them with adequate food and water during this period. 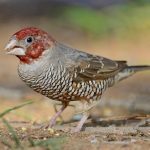 Talk to your breeder to find out what is the best diet for the baby finches. 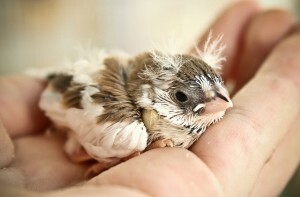 Once your bird is familiar with its surrounding, let it out of the cage at least once every day. Place a shallow dish of water at the bottom of their cage for bathing to keep their feathers clean. Their nails should occasionally be trimmed, but take caution as even a little bleeding may be fatal. 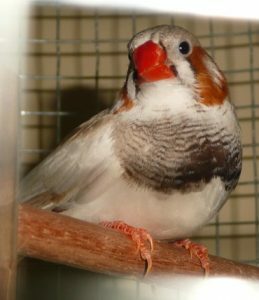 Most of the illness suffered by these otherwise hardy finches are due to improper diet and/or unclean living environments. Some of the common health concerns are leg cramps, heat stroke, egg binding, mites, diarrhea, sore eyes, scaly legs, broken wings, constipation, tumors, and concussion. 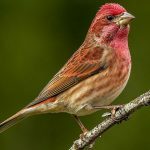 Some of the symptoms to look out for include feather-loss, an overgrown beak, and baldness. Sick birds should be isolated and kept in a separate cage with a temperature of about 85°F. If cared for correctly, zebra finches can survive for up to 12 years in captivity. One individual survived for 14.5 years. 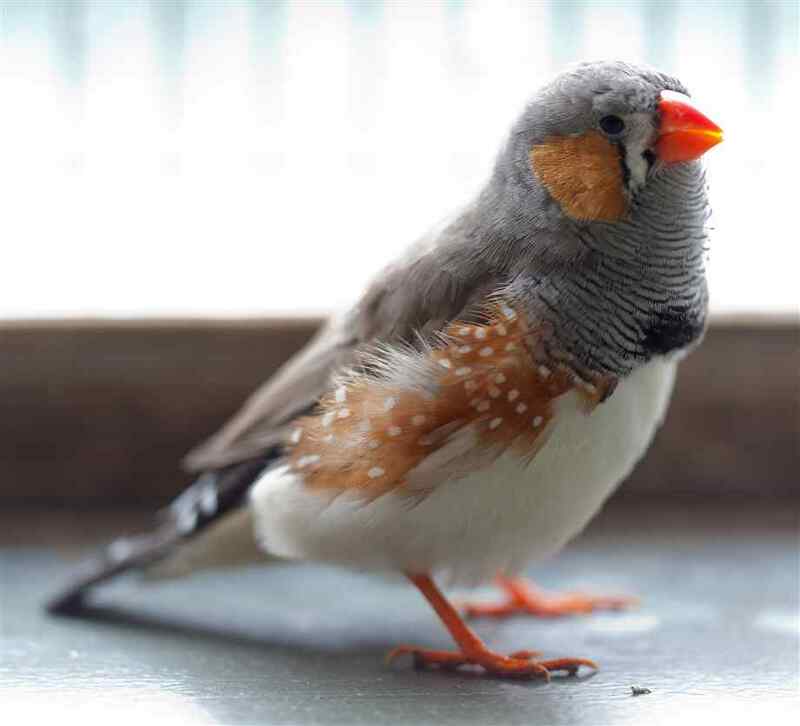 Zebra finches are available for sale for around $15-$30. 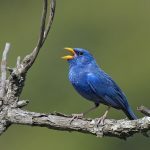 The males incorporate sounds from their surroundings in their mating calls. 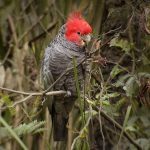 Scientists have discovered that the males’ song is a result of about 2000 genes present in a specific area of its brain, known as “Area X”. 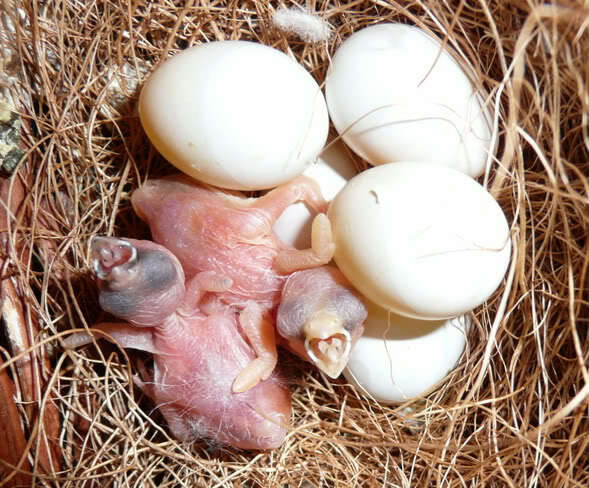 In the wild, juvenile birds are chased off by their parents immediately after weaning, so they can start a new clutch. 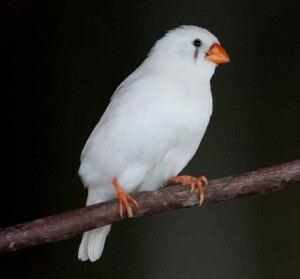 In pet trade and inbreeding, there are several reports of albino zebra finches, but albinism is not yet confirmed in this species. 5 Responses to "Zebra Finch"
I would like to buy some black cheek zebra finches and orange cheek zebra finches. 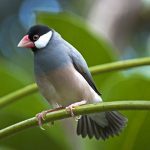 If you have green parakeets I would like two of those also. Are these available? I do not see how to order on your website. Thanks. 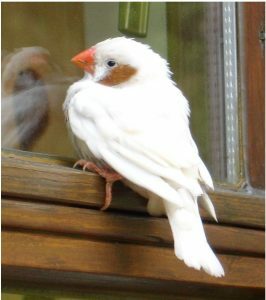 Hello Barbara, nice to know your interest in birds, but unfortunately we do not sell them.